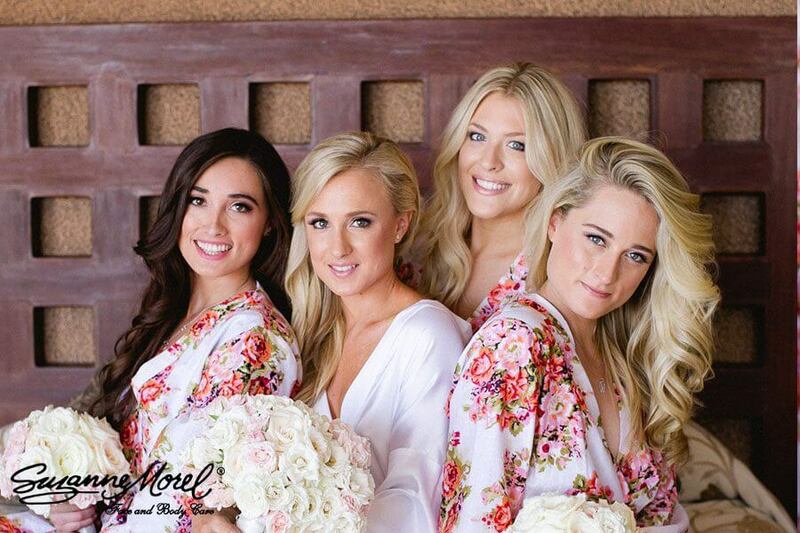 This week’s featured wedding has everything from loose, beachy down-dos to children’s make-up and floral crowns—and you may recognize some of the lovely ladies we styled for this gorgeous private villa affair in Los Cabos! 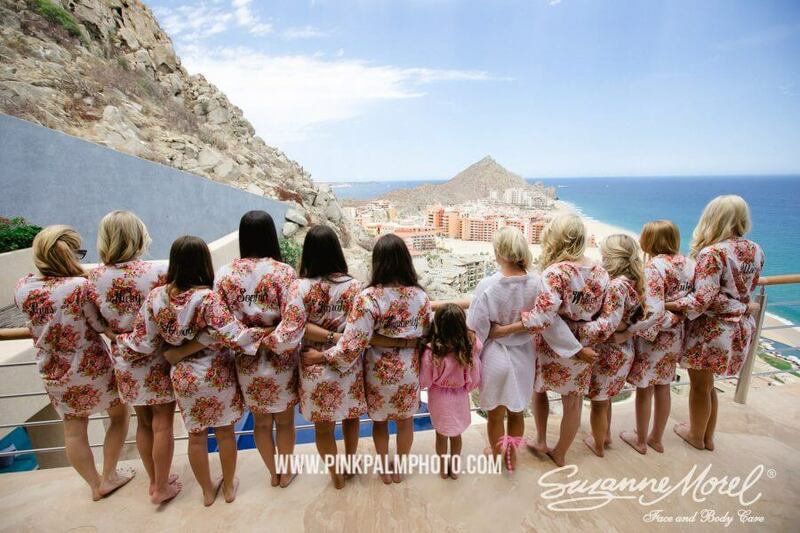 Bride Brooke wanted a chic, simple beach wedding in Cabo surrounded by her family and friends. 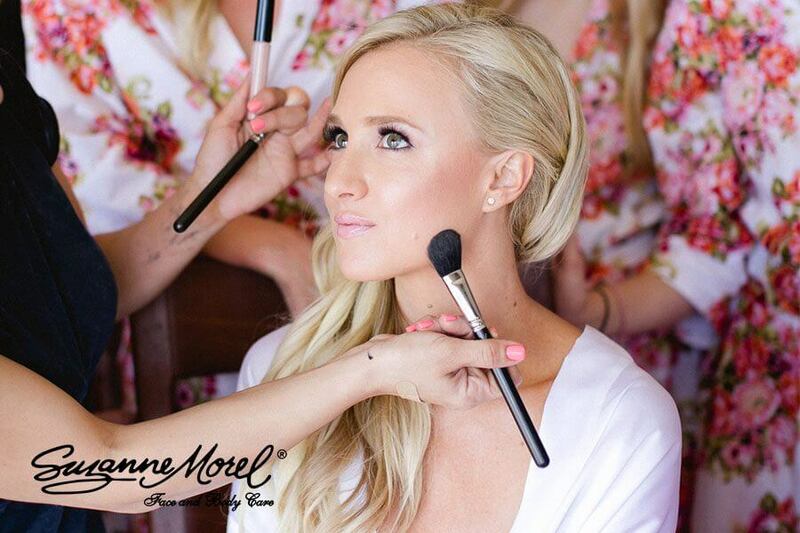 The right wedding-day look was so important to Brooke that she brought along Beverly Hills celebrity hairstylist Pamella Brogardi and Hollywood hairstylist Paul Wintner to help her get ready for her big day. We were thrilled not only to assist Pamella and Paul, but also to have the opportunity to style so many beautiful young ladies for this wedding! Everyone in the bridal party wore their hair in long, beachy waves, which was a natural choice for a breezy ceremony on the sand. Even the adorable little flower girl wore her hair loose, and a floral crown of fresh flowers set her apart from the bridesmaids. All of the ladies in the bridal party were fair-skinned, so we kept their make-up fresh and natural, with well-defined lashes and neutral lip colors. 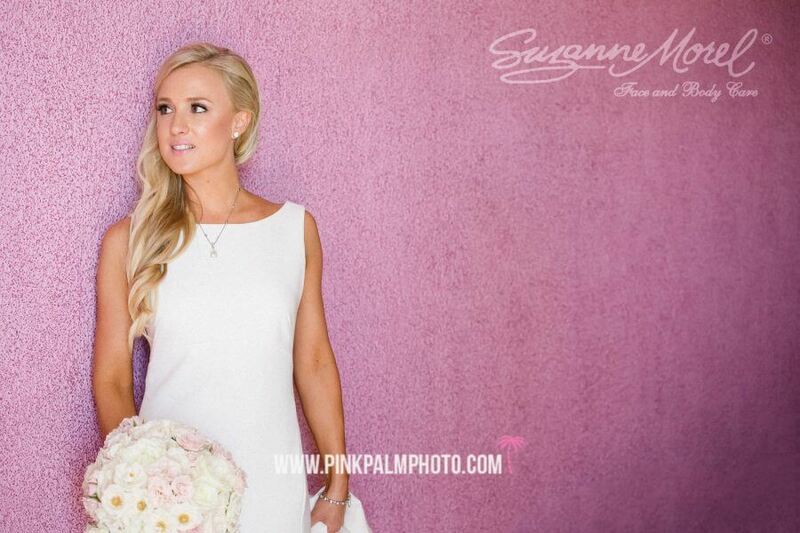 Brooke wore a pale pink shade of lipstick that tied in perfectly with the pale pink roses in her bridal bouquet. Although the wedding was all about Brooke and her groom Thayer, many celebrities were in attendance, including Brooke’s mother, Kim Richards, and Brooke’s cousins, bridesmaids Paris and Nicky Hilton. 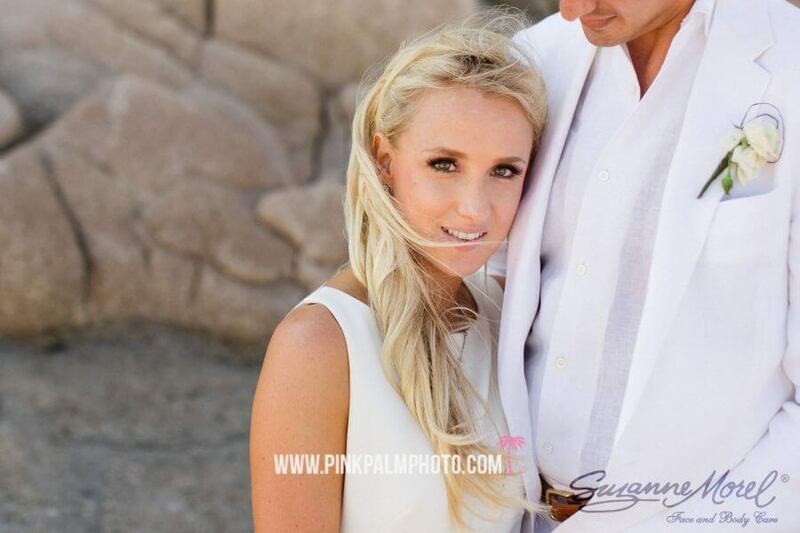 This entry was posted in Cabo Bridal Hair and Makeup and tagged beach bridal hair, beach bridal makeup, Brooke Brinson wedding, cabo beach wedding, Cabo private villa wedding hair and makeup, celebrity Cabo wedding, Creative Destination Events, flower girl crown Cabo, flower girl hair and makeup in Cabo, Kim Richards daughter wedding, natural Cabo wedding hair and makeup, Nicky Hilton bridesmaid, Pamella Brogardi Cabo wedding, Paris Hilton bridesmaid, Paul Wintner Cabo wedding, Suzanne Morel Cabo celebrity makeup.